I had left the game at the start of a trolley system, which I negotiated first thing to leave me high up on a ledge with Yorda - sofas are left in the oddest places. I used a crane to move us both down to the top of another tower, then explored a room with a few high walkways and handy window ledges which I was able to use to clamber up and knock down the chandelier ... after half an hour of trying to work out what to do, that is. A handy cutscene showed me the remaining support for the bridge, and when I rand down to it I happened to pass by some bombs. It takes me a long time to progress in this game, not just because there are extended periods between play sessions but also because there is very little signposted. The combination of the two means that I forget that I can call Yorda to jump over large gaps, for example, and then spend ages trying to work out how to move the crate over to the start of the ledge. I spent ages fighting the shadows on the ramp before accidentally getting Yorda to the bottom and her killing them all using the shining door. The same thing happened outside - I'm sure that previously I've had to kill all the shadows before progressing. Anyway, I made my way to the main gate, only to see it shutting in front of me and Yorda's mum telling me to leave her daughter alone. She seemed a bit evil. I've played through both R-Type I and R-Type II, at least, though I had to use a few continues on each. I love R-Type, it's probably my favourite shooter with just the right level of complexity (with the force and varying powerups included) and varied stages - the first level boss is iconic, and the third level circling the ship throughout is equally memorable. This is an excellent way to play both R-Type games. You have the option of updated or original graphics, and switch between them on the fly (as you could with the Monkey Island remakes or Halo Anniversary). The controls are suitably responsive, and other than that ... well, it's R-Type. I think the kids enjoyed this game more than me, the girls enjoyed helping me find the various balloons to collect. They were slightly frightened by the forest levels but luckily I quickly ran through those. Once I had collected 30 balloons I unlocked the hose which saves your fingers from RSI strain. The story I think is about Monroe coping with the loss of his Mother but unlike Brothers A Tale of Two Sons it did not tug at me emotionally through the gameplay. 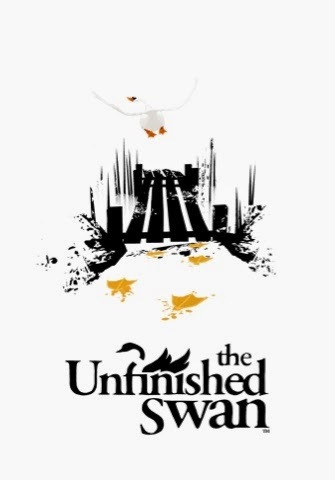 I did however enjoy the Journey Easter Egg in the game, the story unfolding through scattered letters & the gameplay mechanics changing through the various levels. Looking forward to the of the WiiU where I can see more enjoyment coming from local play with the kids. I gave up on this last year after five minutes of splatting paint, I just could not see the enjoyment. But Jaimie kept on nagging me to play again & get pass the first stage. So I started again yesterday evening & the girls quickly became interested in helping me find the Balloons you can collect throughout the levels. You can purchase various toys with the balloons you collect. I've unlocked the balloon tracker & saving up 30 balloons to unlock the hosepipe which helps the flow of paint/water instead of spamming the buttons. You are Monroe and you are chasing a swan that has escaped from a painting left to you by your departed mother. I have completed upto chapter 6, it's a short game so I expect to complete this evening. DO NOT CONTINUE READING FURTHER BECAUSE I WILL DISCUSS SPOILERS ABOUT THE GAME. PS+ is such a good deal that I am baffled with the games Sony give away. 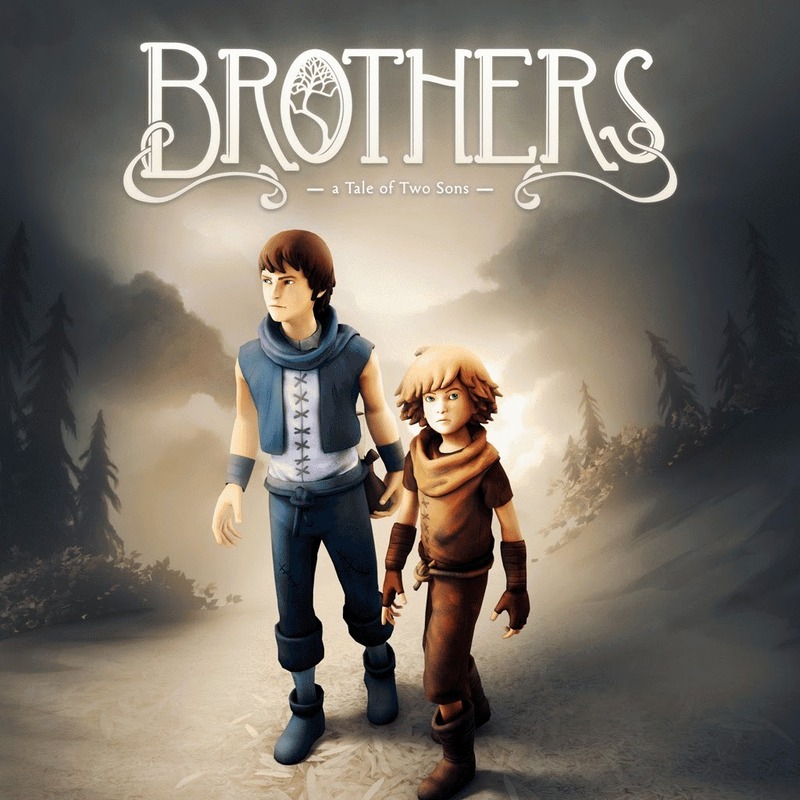 Brothers A Tale of Two Sons was on quite a few Games of the Year 2013 lists so it was on my list to purchase at some point but luckily was given away in March with PS+. The game starts off with a sad opening showing the brothers mother drowning & the younger brother struggling to save her. Back to the present day, their father falls ill & you have to take him to the village doctor. This sequence introduces you to the unique control method, where you control both characters. The older brother using the left thumbstick & the younger the right thumbstick. It takes a while to get familiar with the control, I found it easier having the older brother in front & the younger running behind. The Doctor tasks you with finding a cure for your father's illness & thus begins the game. You will journey through many obstacles, see strange lands & creatures, enjoy the simple puzzles & fun sequences like the gliding plane. One of these sequences has you saving a damsel in distress & you follow her away from danger in the hope she is leading you to the cure for your father but she transform into a spider and during the boss fight the older brother is wounded. Upon reaching the tree of life you rest your wounded brother up against a log & rush up to retrieve some healing water. What follows is easily the most emotional sequence I have seen in a video game since Aeris dying in Final Fantasy 7. You return to find your brother dead, you try to give him the water but nothing happens. A Flashback shows you hugging your older brother before the camera pans down to show the dead body. The game then shows you digging a grave & you have to drag your brothers body to the grave. Then bury it with four piles of earth, you will always remember how many piles of earth because this moment will stick with you forever. You return to the village with the help of the griffin. Upon reaching the shoreline you realise you can't cross the water. The younger brother has always been scared of the water because of his mother drowning & it was only with the help of his older brother was he able to swim. I ran around the shoreline thinking there must be another way to get across? The mothers spirit appears to comfort the younger brother, damm this game is tugging at my heart strings !! I then pressed up on the left analogue stick & the younger brother swam across, using the strength of his older brother memories he made it across & gave the cure to the doctor. The final sequence shows the father breaking down in tears in front of the tombstones of his wife & son but the younger brother stares into the distance. Breathe .. what a game !! So much emotion, I spent ages thinking & reading up about the game afterwards. The older brother dying? The younger brother summoning the courage to swim? The damsel in distress? They did introduce something new - but hardly innovative. It turns out that the treasure is cursed, and all associated with it turn into the undead. Yes, it's yet another game where you get to fight zombies. These aren't the shambling hordes of Resident Evil, these are agile and quick and vicious. These are just horrible. While I did find the three-way battles between Drake, the zombies, and the mercenaries pretty clever, the general tone of the game was worsened by their inclusion. I'm sure that many would argue that they were crucial to the plot - don't take the gold off the island, it'll make the world cursed! - but it could have just been a disease inside the golden statue instead. Maybe it's just that I don't like things jumping out at me. So, Drake went into the tombs, found Sir Francis, found the zombies, worked out that the gold was cursed. There were some clever platforming bits around a 3D maze, where I had to follow signs marked either II, V or VII, which would have been a clever puzzle if it wasn't for the very obvious notes shown at the start of the section. Unfortunately the platforming bits kept on being broken up by more mercenaries appearing from nowhere. Also unfortunately, Drake died many times on the platforming bits because the controls are just a bit woolly. Right at the end, there was a section where Drake had to chase the real enemy, and I kept failing it because unlike the rest of the game, there was a time limit. I had to run past lots of zombies and mercenaries, shooting without aiming, and then jumping onto the treasure as it was hoisted into the air. The final level thankfully had no zombies, but lots of sniping, rocket launchers, and an invincible enemy who ran from area to area. The final battle had me foxed for a while until I realised I had to brute force it, rather than taking cover I just had to make Drake rush the enemy as he reloaded. So, game finished, and I immediately went back to the first couple of levels to try to understand the plot a bit better, having forgotten about it in the years since I started the game. I found a few more treasures by exploring, and was struck by how different the first couple of chapters felt, before gun-toting enemies turned up. If only there was more of that during the game. Anyway, while I've been a bit down about the game in my write-up, I was keen to continue it, and must admit that it's been well worth playing. I hope that its sequels have learnt from the progression in game mechanics over time, and I'll move onto Uncharted 2 at some point soon. The developers of Uncharted were very clear that they wanted this to be a cover shooter with a bit of platforming thrown in, it seems. Following the story, Drake has worked out where the treasure is buried, and we've descended down through mausoleums and libraries, using doorways that nobody else has known about. You'd think this was the perfect opportunity for platform exploration, but no - somehow the enemy have got into these areas as well and continue their work to make Drake die. It just feels really tenuous. 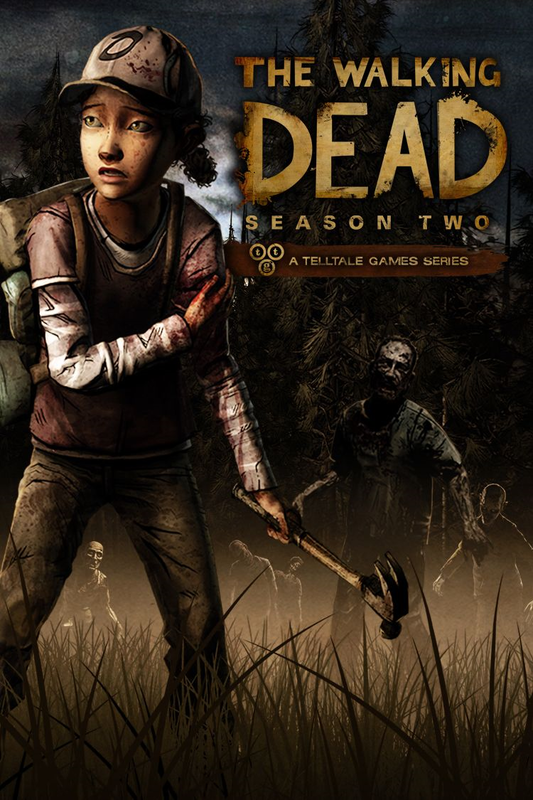 Something else I notice - when describing this game, I often call the main character "Drake", rather than projecting myself into him. It's clear that Drake worked out the location of the treasure, since I had no part in it. Wherever there are puzzles, Drake is the one who finds the correct page in the notebook which give the answer in an obvious way. When there's a new weapon, Drake is the one who quips about it being a great find. I'm not - I don't find guns exciting at all. So when I misjudge a jump, it's Drake who falls to his death, not me. I feel pretty disconnected, all in all, and as a result I notice inconsistencies in the game world more than I should. For example, Drake can jump across 30-foot gaps with ease, but struggles to reach ledges a few inches above his head - indeed, he even seems to crouch when he's jumping just so they're out of reach. When running around the roof of a church, falling off the narrow planks results in instant death, but a similarly large fall elsewhere is fine as long as you hang from the platform. I'm up to chapter 16 now, of a total of 22. Given this, I'll push through to the end, but I'm disappointed there's been nothing really new in the last few chapters. The only difference is with the story and the introduction of two new enemies - a sniper with a laser sight (who drops a pistol, not a sniper rifle), and enemies with bigger machine guns. I did find a sniper rifle on a crate, but it had only five bullets which makes it massively limited. The highlight of last night's gaming, in fact, was a chapter where I had to guide a jet-ski upriver, over rapids and avoiding exploding barrels (and, of course, people shooting). Many people have complained that the recent Tomb Raider game is too combat-oriented, which is very true when you compare it to the older games in the series. But if you compare it to Uncharted, Lara is a veritable peace-loving hippy. Exploration seems to take second fiddle to hiding in cover and shooting enemies, then picking up their ammunition before going through the next door and taking cover again. There have been a few puzzles, but nothing more complex than finding a key to open a door or pulling a couple of levels to flood a room. The platforming is probably the best part of the game, having to work out how to get to high-up ledges, and it's a shame there's not more of it - and it's annoying the controls are quite so imprecise. A lack of lock-on to enemies from cover doesn't help. Still, it's a fun game with some spectacular setpieces, even if the best parts of these are generally non-interactive. I've just finished a section where I was speeding through canals on a jetski - well, I say speeding, but it was easier and more efficient to inch forwards, stopping every few seconds to shoot the explosive barrels and enemies in my path. Oh dear, it doesn't sound like I'm having much fun, does it? Oddly, I'm looking forward to continuing - as long as this doesn't outstay its welcome. I think the problem this game has is that Tomb Raider has since done it so much better, and this suffers from being played second. Er, of course I did play this before Tomb Raider - I got my first two trophies on 15 April 2011 - but I was expecting a purely platforming exploration game and the constant gunfights put me off. I cleared the first three chapters, I think - up until the submarine in the jungle. I continued from there, which meant a good few minutes of trying to work out which button did what, causing at least one hilarious death where I threw a grenade at my own feet. Let's not mention that.